This position provides innovative leadership and vision to over 200 annual and adjunct faculty and staff who are committed to helping students meet their educational and employment goals. This position must foster teamwork, open communication, and set standards of accountability within the division to ensure annual federal and state performance measures are met. Writes, reviews, and approves grant documentation, ensuring that documents are submitted accurately and in a timely manner. Founded in 1988, First Literacy’s mission is to ensure that adults with low-literacy or limited English proficiency have high-quality educational opportunities that enable them to thrive as individuals and as family members, in their workplaces, and in their communities. First Literacy is currently seeking an experienced, innovative, and collaborative professional to be the new Executive Director. The ideal candidate will bring management, fundraising, and marketing skills to lead a dedicated team of highly experienced adult literacy and fundraising professionals. The Executive Director is the public face of First Literacy, working to expand awareness of our mission and raising funds to support and grow our impact. This is an excellent opportunity for a strategic, creative, and results-oriented individual with ideas, strengths, and career experience to work with an engaged Board of Directors to lead First Literacy into the future. 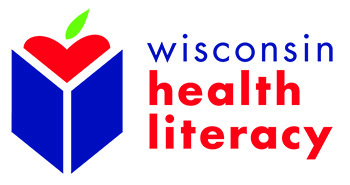 Wisconsin Literacy, Inc. seeks a full time Health Literacy Director for its nationally-recognized division, Wisconsin Health Literacy. The division promotes clear communication between people that give and receive healthcare to improve health understanding, access, costs and ultimately, health outcomes. The Health Literacy Director serves as the primary health communication and health literacy resource for Wisconsin Health Literacy. The Director provides advice, technical assistance and leadership in planning, developing and evaluating statewide health literacy strategies and interventions directed toward a broad audience including health and social service professionals, literacy professionals and healthcare consumers. The Director also manages the division’s fee for service programs. Every other year, the Health Literacy Director serves as the primary event planner for the Wisconsin Health Literacy Summit, a significant national event in the field of health literacy. The Director supervises additional staff as determined necessary. Under the general direction of the Wisconsin Literacy Executive Director, the Director will contribute to the development of content and strategy to drive community engagement and support population health behavior change. The Director will play an instrumental role in planning, writing, testing and implementing health literacy interventions for various vulnerable populations in Wisconsin, especially those served by Wisconsin Literacy member agencies. The National Center for Families Learning, a private nonprofit organization located in Louisville, KY, is seeking a Family Learning Specialist to provide subject matter expertise in adult education and parent engagement for family literacy programs. Underlying expertise in effective family engagement practices and the ability to create and deliver high-quality professional development are requirements. Experience working with low income, culturally diverse, and/ or American Indian populations is highly desired. Successful applicants will demonstrate a passion for NCFL's mission to address literacy challenges by engaging all family members in intergenerational learning, with a primary focus on parents and children living in poverty.